In recent years, there has been a serious push for safety in the automotive industry, and as more and more brands begin to offer more and more safety features, other brands are following suit. The most recent trend has been driver assistance features that serve like extra sets of eyes on the road and help to make sure that your blind spots are checked and that you’re staying in your lane. Volkswagen is one brand that offers a driver assistance package, and the safety features that it contains are sure to impress you. There are a number of features that are made available in Volkswagen vehicles—seven to be exact. What makes the features so great is that you can get them a la carte, which is a fancy way of saying that you can pick and choose which you want, or you can bundle them together for a reduced rate. Once you learn a bit more about all that the features have to offer, we have a feeling that you will want all of them. If you are interested in knowing more about what each of the seven listed features is capable of, your best bet is to swing into your nearest certified Volkswagen dealer and take one of the four fully-loaded models out for a test drive. 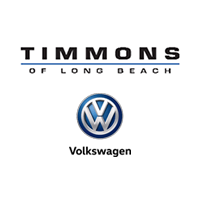 If you’re in the Long Beach area, we encourage you to swing by and see us at Timmons Volkswagen. We would be happy to show you what the driver assistance package is truly capable of. You can also check back here on the Timmons Volkswagen blog, as we will be highlighting each of these features in the near future so that you can better understand not only how they work, but what they cost and which models they are available in. As always, if you have any questions, don’t hesitate to reach out.